Healthy eating has never been more accessible than it is now, yet the idea that nutritious eating is boring, bland and uninspired remains a commonly-held belief. This may play a role in the failure of countless new year’s resolutions. However, there is a unique little café that is attempting to change people’s perceptions of what healthy eating can be. 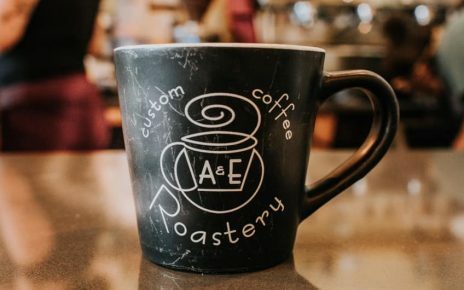 Restoration Café in downtown Manchester is a casual little eatery located in The Flats @ Hanover Commons. 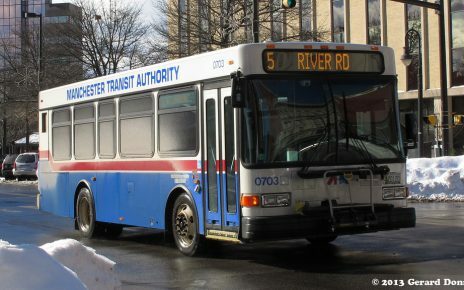 This is a unique, multi-function housing complex on Hanover Street. Owner Tom Puskarich opened Restoration Café in 2016 with the vision of bringing clean and creative cuisine to Manchester. Puskarich worked in fine dining for years, including at the renowned Bedford Village Inn, and brought that experience into the development of Resoration cafe. “[I] wanted to tap into a healthy living and healthy eating point of view, but from a chef’s perspective, where health food and healthy eating didn’t have to be boring and flavorless,” said Puskarich. 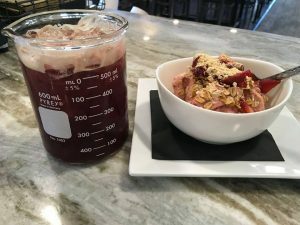 The menu strikes a balance between nutritious gluten free and vegan-friendly meals, freshly-made smoothies and juices and omnivorous sandwiches. Modern coffee drinks, local beer and craft cocktails round out the menu. Those seeking out a flavorful and satiating plant-based meal can opt for one of Restoration Café’s bowls. The Buddha features brown rice, sweet potato noodles, baby kale, crispy spiced chickpeas, pickled onions and tahini dressing. Coming in for breakfast? For a vibrant taste of the tropics, try the Thai Bowl, which blends acai berries, banana and coconut milk and is topped with mango, coconut, pineapple, coconut and gluten-free granola. Juices and smoothies are made with whole fruits and vegetables, and many involve unique flavor combinations. The “Gold” Juice features golden beets, golden delicious apples, lemon and turmeric. For a simultaneously rich and vitamin-packed smoothie, the “Mo Mo” blends almond milk, banana, peanuts, baby kale and peanuts. Boosts such as egg white protein, flax seed, yogurt and spirulina can be added to any offering. The folks at Restoration even think outside the box when it comes to the vessel that the juices are served in. All are served in Pyrex graduated beakers, which is the variety typically used in laboratories. Those wanting something a bit heartier can opt for a Cubano sandwich, which stacks crispy pork belly, Canadian bacon, aged swiss, pickled pineapple and whole grain mustard on ciabatta. There is also a four-cheese grilled cheese containing swiss, ricotta, cheddar and provolone, making for one melty masterpiece. Puskarich makes two menu changes each year to coincide with seasonality and changing dietary habits. Brunch specials are offered on weekends, with constantly-changing options such as eggs benedict and avocado toast with crispy Cajun ham. 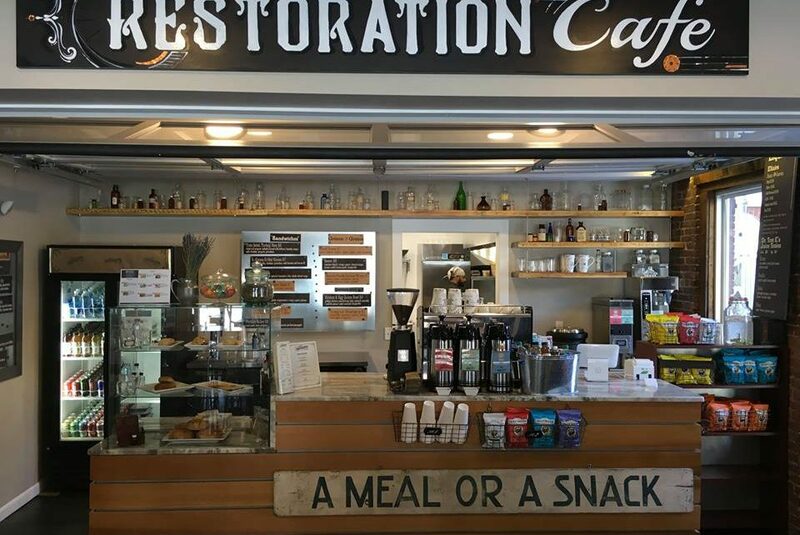 The word “restaurant” is derived from the verb “restore,” and the folks at Restoration Café are working hard to ensure that their offerings are both restorative and flavorful. Stop by any day of the week and keep that resolution alive.